I wanted to take a few blog posts to share with you some of the apps I like to use in the classroom. Some are great for the kids to do, some save teacher time, and others are useful utilities such as the one I want to share today. QUICK CHOICE by Happy Camper is easy to use and quick to set up for use. That's 2 big PROS for me when it comes to using things in the classroom. Ease of use and quick setup saves me time as a teacher and time in class when using it with students. This great little app only costs 99 cents, but its worth much more. It allows those with language impairments as well as those that understand visual symbols better than spoken words, to express themselves using a choice board. I use it primarily for picking reinforcers at the end of work tasks, but the uses of it are really only limited by your imagination and need. It could be used to communicate lunch choices for lunch count and in the lunchroom to select food choices. It could be used for communication if someone is feeling ill or hurts. It could also be used to communicate how the student goes home. These are just a few ideas. One of the best features of this program is it lets you import your own photos to use. This is especially helpful in tailoring the board to specific students. 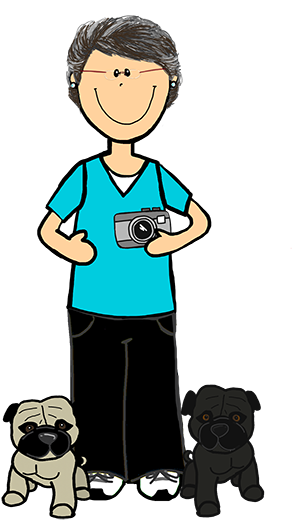 If you use it on your phone as I do, you can use the pictures straight from your camera. 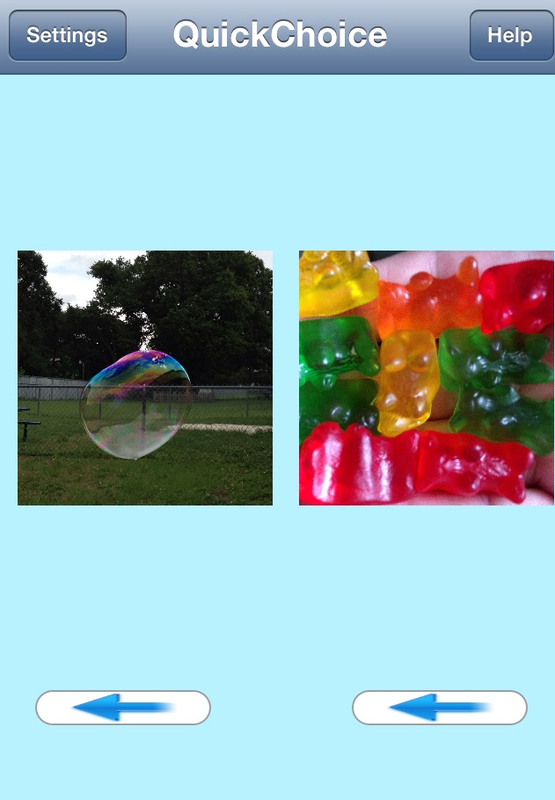 The photos are easy to scroll through and will take you through your entire photo library. I use it in my classroom with several students. Its great when offering the student 2 choice activities as reinforcers for their completed work. 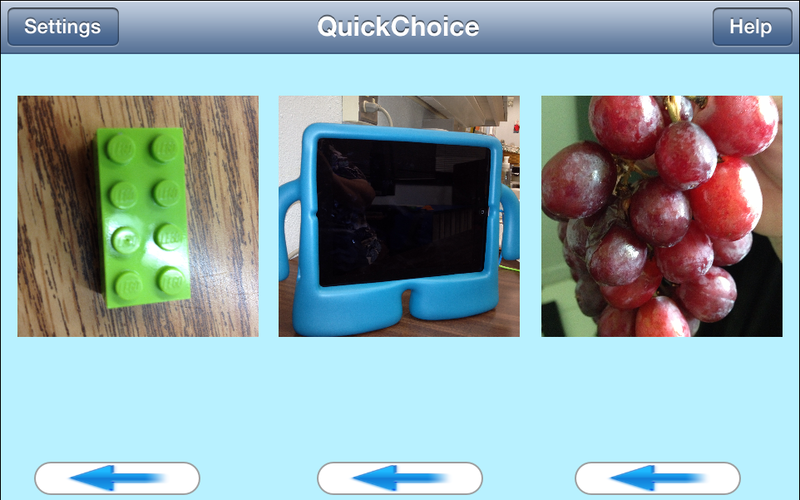 I primarily just use 2 choices with my students because of the needs of my kids, but the program allows you to use 3 choices also.You can change from 2 to 3 pictures simply by going into the settings within the app and turning the option on. (See picture (left) below). When choosing this option, you have to use the phone in landscape mode in order to view all 3 pictures. 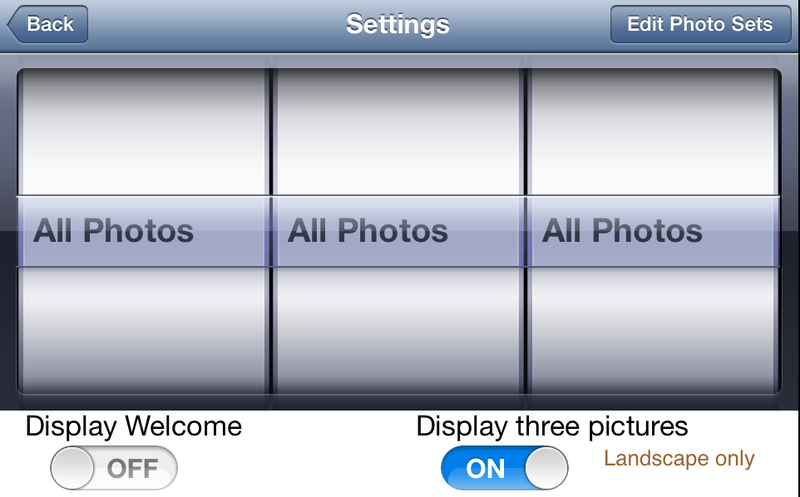 On the left is a picture of the settings screen where you can change from 2 pictures to 3 and on the right is a 3 picture choice board with pictures included. 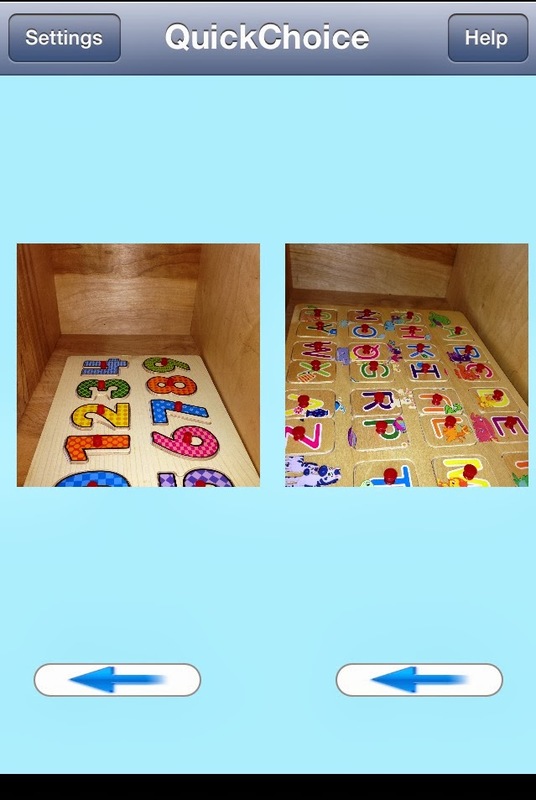 Quick Choice by Happy Camper is also compatible with not only the iPhone but also the iPad and iPod Touch. It requires IOS 4.0 or later. If you need a quick choice board, try this nifty app for yourself. It works great! Have fun and stop back again real soon! RECENTLY UPDATED!!! Please download again. Several typo errors have been corrected! Today, your FREEBIE is a small set of worksheets I am working on to accompany PCI Reading Program I use in my class. Even though the worksheets focus on the PCI words, they are also common words you find in Dolch word lists and the Fry Readability Lists. I find my students often need extra practice on the words so I am hoping to get them done before school is back in session. I wanted you all to have a small sample of them first. 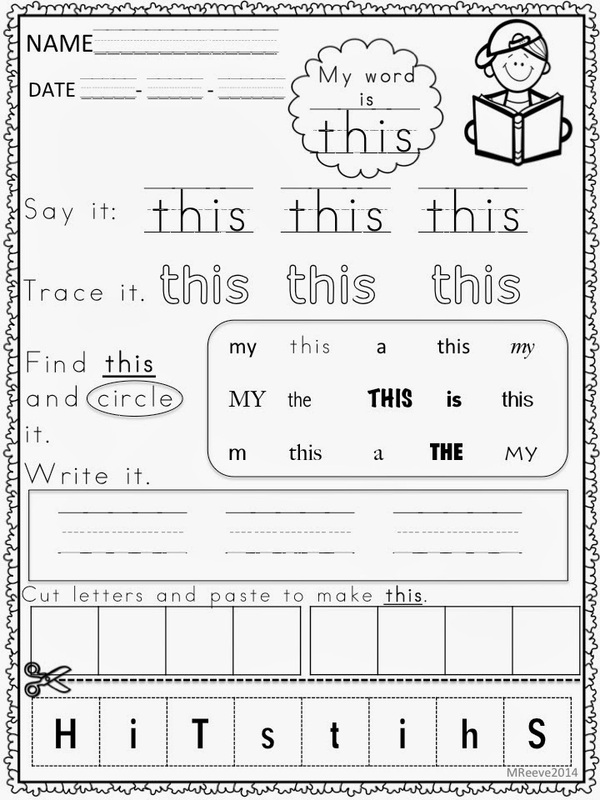 The sheets are designed to provide a variety of modalities to practice the words in small segments. I would love to hear your feedback about them and how you use them. 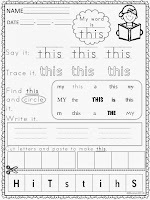 The entire Level 1 word worksheets will be in my TPT store soon.